Airplane seats aren't exactly designed for comfortable sleeping—so if you're on a long-haul flight, a travel pillow is a must. 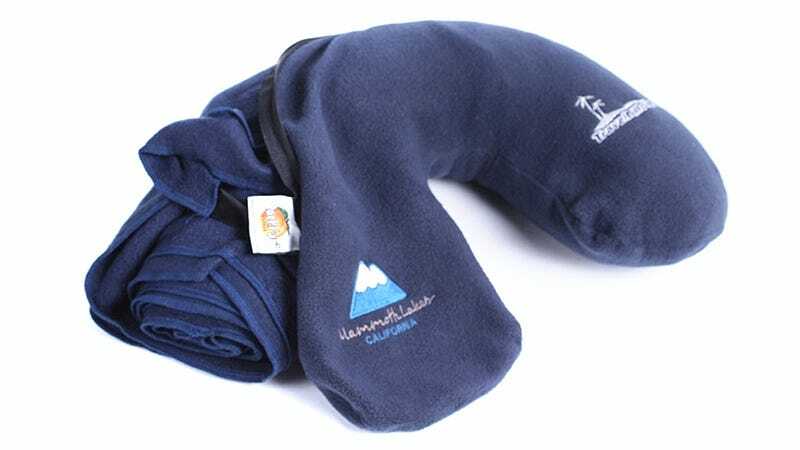 And since the three blankets that most planes carry aren't enough for 100 passengers to share, this clever two-in-one neck pillow has everything you need to at least try and get some shut-eye on a long flight. Unzipping the $35 Travel Billow reveals a generously-sized 50 x 66-inch fleece blanket that should be large enough to cover even the tallest of travelers while they're seated. And since removing the blanket leaves the fleece neck pillow completely empty, the Travel Billow includes an inflatable ladder, letting you use the pillow and blanket at the same time.